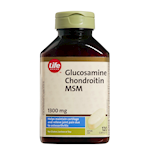 Overview The dual action of glucosamine and chondroitin sulfate helps protect against cartilage deterioration, and helps relieve joint pain from osteoarthritis. 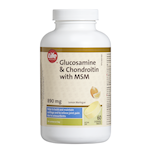 Together they are a factor in maintaining your joint health. 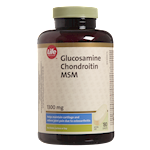 This maximum strength Life Brand product is a convenient way to add 750 mg of glucosamine and 600 mg of chondroitin sulfate to your diet Benefits Helps to relieve joint pain associated with osteoarthritis Helps to protect against cartilage deterioration. 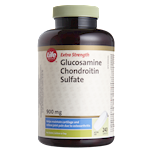 A factor in maintaining healthy cartilage and joint health. 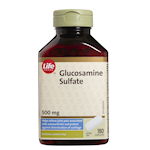 This product contains 6.5 calories and 56.2 mg of sodium per caplet. No gluten, lactose, soy, sulphites, yeast, preservatives, artificial flavours or colours. (Adults): Take 1 caplet 2 times daily with meals or as directed by a health care practitioner. 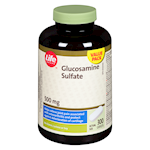 Use for a minimum of 4 weeks to see beneficial effects. Keep out of reach of children Consult a physician prior to use if you are pregnant or breastfeeding. Consult a health care practitioner if symptoms worsen.